The Newport Beach Film Festival has emerged as the largest international cinema event in Southern California, attracting over 56,000 attendees to Orange County, CA since it’s inception two decades ago. This year, Swedes in the States will be a part of the Swedish Spotlight as sponsors. SWEA LA & OC, the Swedish-American Chamber of Commerce – San Diego & Los Angeles, will also be participating in the event. We sat down with the team behind the Swedish Spotlight to find out more about them, the Film Festival, and the Spotlight that has highlighted the Swedish film industry for the past 8 years. Tickets to the Swedish Spotlight event can be bought here: Newport Beach Film Festival’s website with the code SWEDEN5 giving you $5 off. Tell us about the Newport Beach Film Festival? Founded in 1999, The Newport Beach Film Festival seeks to bring to Orange County the best of classic and contemporary filmmaking from around the world. Committed to enlightening the public with a first-class international film program as well as providing a forum for cultural understanding and enriching educational opportunities, the Festival focuses on showcasing a diverse collection of both studio and independent films. Why has Sweden specifically been chosen to be highlighted at the Film Festival? The success that Sweden has been having with their filmmaking has skyrocketed within the past decade. When looking for more International Spotlight showcases to present within the European showcase, Sweden was spoken about many times because of its cultural significance and it’s recent break out into the American film industry with films such as ”The Girl with the Dragon Tattoo.” We are excited to pay homage to the Swedish film industry and celebrate the extensive Swedish history and culture whose influence has inspired many aspects of art across all mediums. What can guests at the Swedish Spotlight look forward to? Within the Swedish Spotlight, we will be featuring a film screening of a newly produced Swedish film followed by a gala celebration of Swedish film, food, and culture. This celebration will be taking place within the European showcase which will be including other European countries such as France, Germany, and Italy. Hosted by Time Nightclub and PBS SoCal, we will toast the evening away with a multitude of cultural cuisines, top acrobatic entertainment, Virtual Reality stations, and some incredible Swedish massages. May we have an introduction to the team behind the Swedish Spotlight? Though the Swedish Spotlight team changes every year, this year it is made up of five aspiring event planners who are hard-working, enthusiastic and have a passion for film and culture. 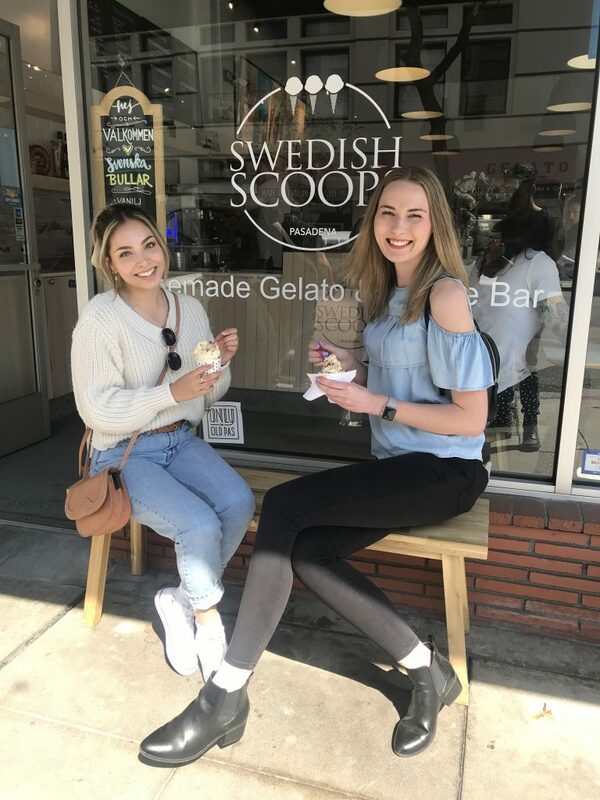 Most of us are in our final year of college and are ready to make our mark on the industry starting with our first lone project, the Swedish Spotlight. 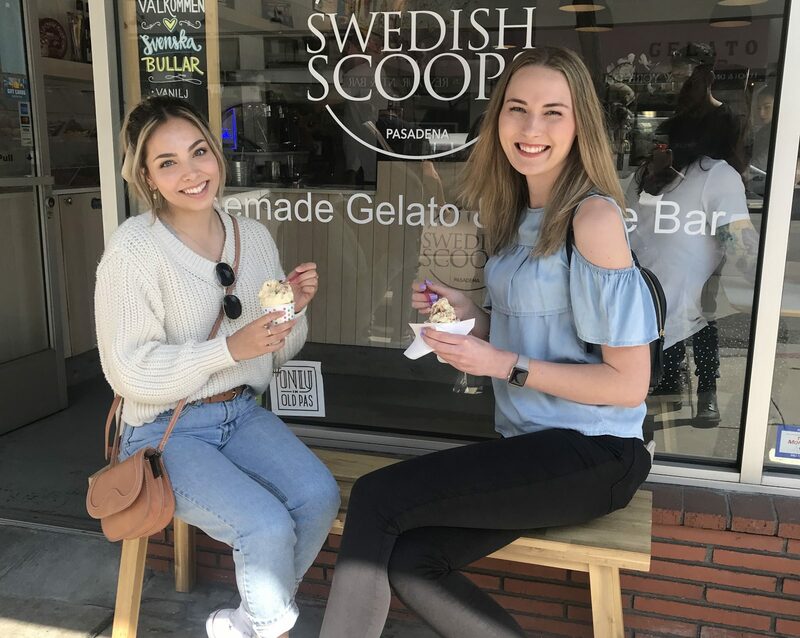 Nicole Range and Amy Campbell from team Swedish Spotlight outside the Swedish Ice cream store Swedish Scoops. Which movie has been chosen as the winner of the spotlight, and why? Making its American debut, we will be screening the film Sune vs. Sune, a film that follows an imaginative 10-year-old boy named Sune as he navigates fourth-grade with a new boy also named Sune. The new boy is everything that Sune wants to be and more, so he must learn to overcome the trials presented by his newfound opponent. The festival loved this choice to debut because of its message, a coming of age story that is about navigating through childhood while also learning to find yourself. Who are your favorite Swedish actors? Though there are many to choose from, some of our favorite Swedish actors have come from award-winning films within the States. Alicia Vikander is an Oscar award-winning actress who has featured in multiple praised films such as ”The Danish Girl” and has become a huge inspiration to us. Another favorite would be Stellan Skarsgård who had started his acting career very early in his life, and features in the Oscar-winning film ”The Girl with the Dragon Tattoo.” Both he and his sons have made a huge impact on the American film industry for Swedish actors and have become a big influence on us. Next articleSwedes in the States Are Hiring!